As part of yesterday's birthday celebration, I gave Easy Rider a copy of the mashup album Bobb Deep. 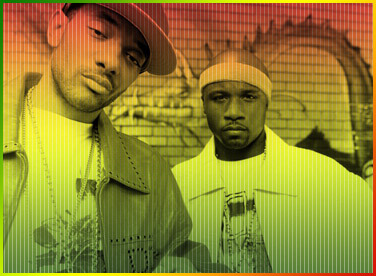 Vocals by Queensbridge natives Mobb Deep, beats by Bob Marley and production by Swindle. I had some reservations about this album at first. As with any mashup album, there exists the chance that the concept (in this case, the perfectly mashed name of Bobb Deep) will sound better than the actual music. This album doesn't quite reach the heights of the classic Infamous, but I wouldn't put it too far behind that in the Mobb Deep catalog. Definitely worth picking up. Given his political activism towards the end of his life, I suspect Bob Marley would not have been too supportive of the violence embedded in the lyrics of Havoc and Prodigy -- though he could certainly relate to it, from his days in Kingston -- but he certainly would have vibed to the music itself.